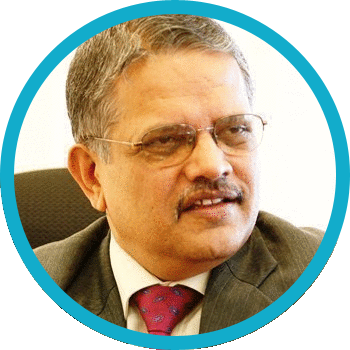 GMR Airports has taken a quantum leap forward"
P. S. Nair – CEO. GrayMatter’s Airport Analytics (AA+) is a pre-built Enterprise-wide solution for Airport Operators consisting of in-depth analytics for all areas of airports business by integrating data across 20+ airport systems into centralized data warehouse. Airport Analytics enables business users to do historical data analysis with role-based intuitive and insightful dashboards. Airport Analytics (AA+) drives real-time data-driven actions to optimize operational performance, reduce wait time, forecast passenger and baggage flow. Airport Analytics provides what-if modelling for revenues, operations, forecasts and so on with its high-end statistical models. GrayMatter understands the complexities of running a Commercial Airport with in-house domain experience of over 100 man-years and Business Intelligence (BI) experience of over 500 man-years. Our Airport Analytics solution addresses all the pain areas, capturing and analyzing all available data/information and enabling fact based decision-making to users, besides enabling smart report structures. 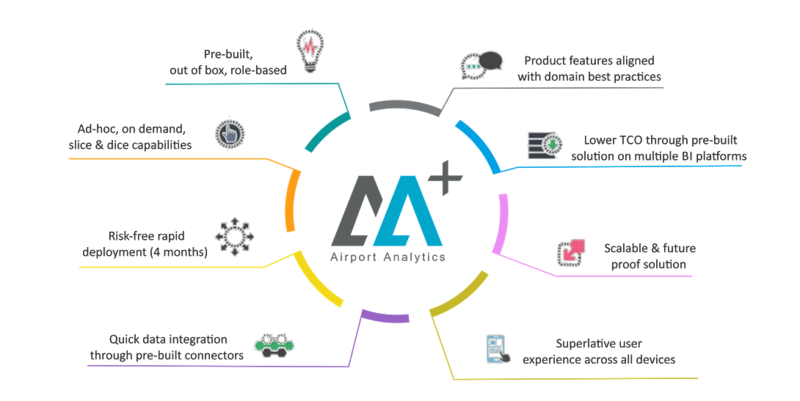 AA+ encompasses a complete Airport BI solution providing enterprise-wide, role-based, actionable business insights enabled by a mix of deep domain knowledge driven airport bi consulting and cutting-edge airport data analytics. The depth of airport analysis in the solution also reflects in the fact that AA+ covers 10 modules, 48 sub-modules, 100+ dashboards, 450+ KPIs, 20+ predictive models. GrayMatter has an impeccable track record of successfully implementing this comprehensive airport analysis product at leading global airports.